There was both good and bad news for Insel Air yesterday, but still with much uncertainty about the carrier’s chances of survival. Photo: The BES-Reporter. Willemstad- Yesterday, March 23, 2017 has turned out to be a day between good and bad news at embattled carrier InselAir. The day opened with news of the IATA advising travel agencies to no longer conduct business with InselAir, because of non-payment by the local carrier. On the other hand, various media reported that the airline has reached a tentative agreement with Avianca’s parent company, Synergy Aerospace. With InselAir at present only flying to Aruba, Bonaire and Sint Maarten, the suspension by the airline from the travel organization’s ‘clearing house’ has no immediate impact. However, it can hardly be considered good news as it will now become even more obvious to the outside world that the airline is in dire straits. The intention for Insel and Avianca to reach a so-called ‘Heads of Agreement’ within 2 weeks, leading to a final agreement about a far-reaching partnership within 4 – 6 weeks. The first step towards an agreement and ‘strategic partnership’ with the Colombian airline is the first good news for InselAir in a long time. According to minister of Economic Development, Eugene Ruggenaath, an agreement with the much bigger Avianca is important for InselAir’s long term survival. Since the start of the crisis, sparked by the grounding of most aircraft by the Aruban Aviation authorities, little progress has been made with the much needed turnaround of the airline company. 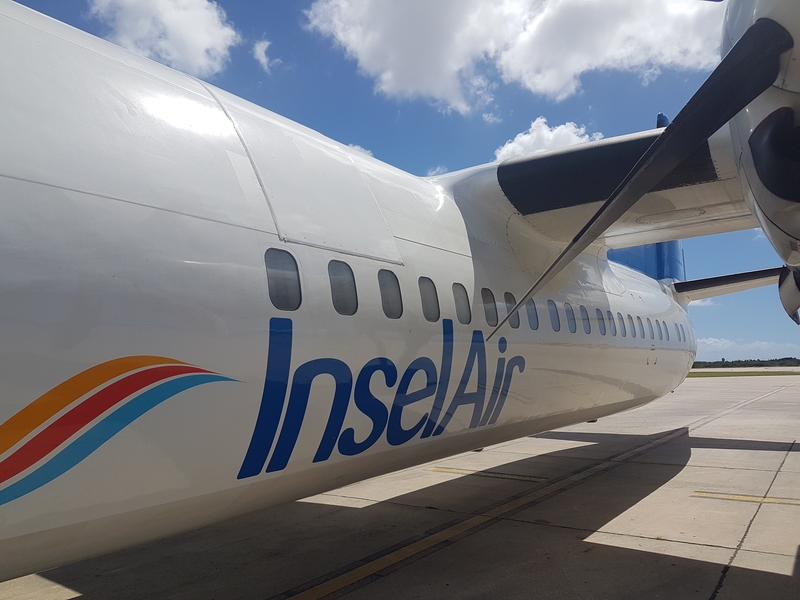 As of March 8, InselAir executes a very limited flight schedule, making use of only 2 Fokker 50 aircraft the airline can still operate as these carry the Curacao registration PJ instead of the Aruban P4 registration. It must also be noted, that little or no information has been given of the progress made after Dutch safety experts were flown in to assist aviation authorities in Curaçao and Aruba with the (partial) re-certification of Insel Air Aruba. As long as re-certification has not been completed, Insel will not be able to make use again of its MD82/83 or Fokker70 Aircraft. A complicating factor is that, as long as none of the airline’s aircraft is operational, Insel Air Aruba does not have any income. If Insel sticks to BES plus Aruba they should be OK. I they try to expand too much too soon they will have problems again……. poco poco guys.